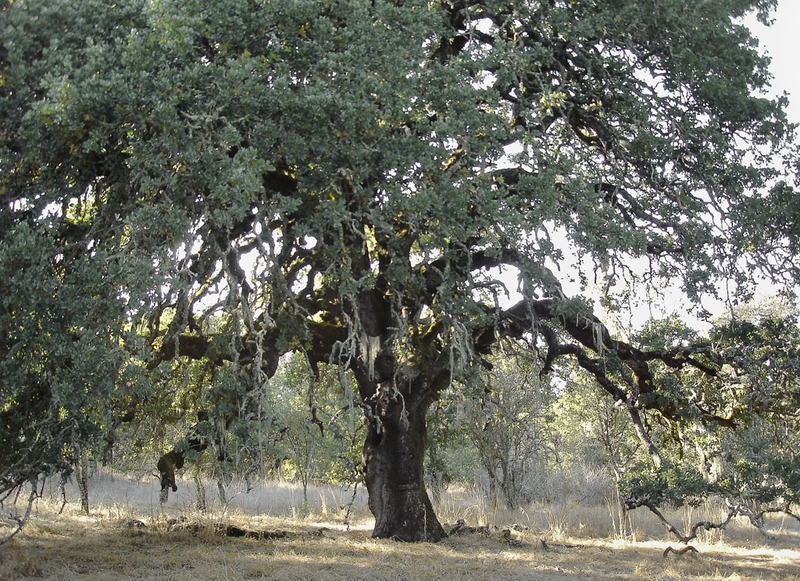 Blue oak trees are only found in the coastal and Sierra foothills of California. Stately oak trees with blue-green leaves – known as blue oaks – are found in the foothills of California's Sierra Nevada and coast range, and nowhere else on earth. They are valued for their beauty, wildlife habitat, shade and acorn production. 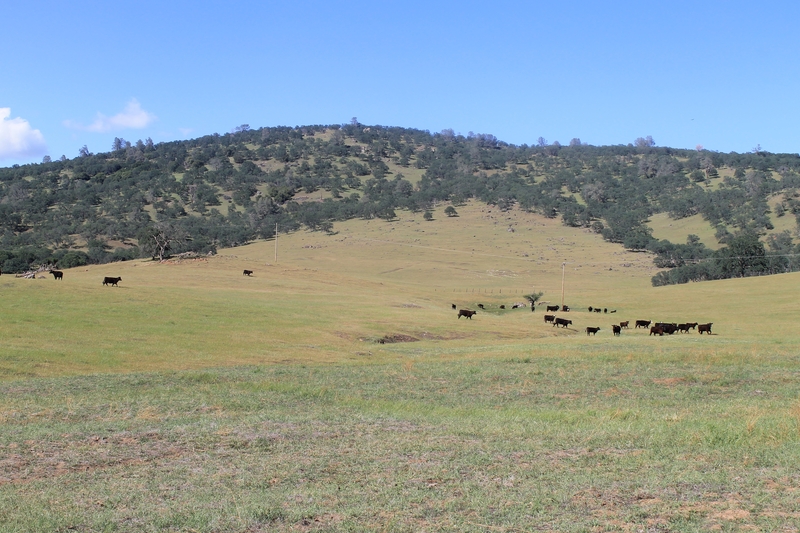 Protecting the resource poses challenges since the vast majority of blue oak woodlands are part of privately held ranches where owners use the landscape to raise cattle for a living. 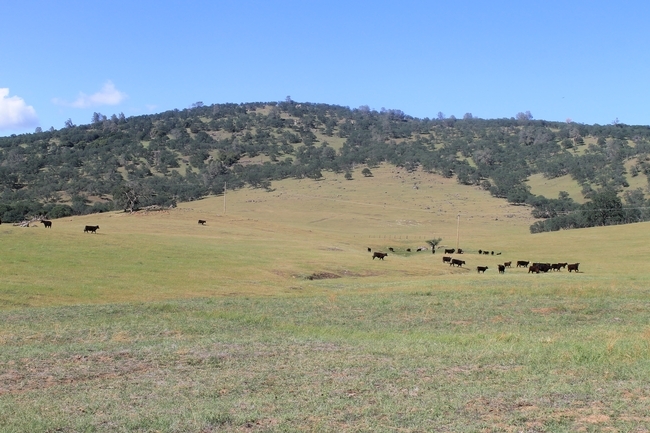 Researchers with UC Agriculture and Natural Resources (UC ANR) have worked with landowners for decades to help them manage these oak woodlands in ways that balance the ranchers' economic needs with ecological considerations. In the late 1990s, Tulare County ranchers Jim and Gay Versteeg were interested in thinning their blue oak stands in order to improve biodiversity of the forage growing on the land. The family offered UC ANR researchers three acres to study blue oak tree management practices to better understand the impacts of various thinning practices. 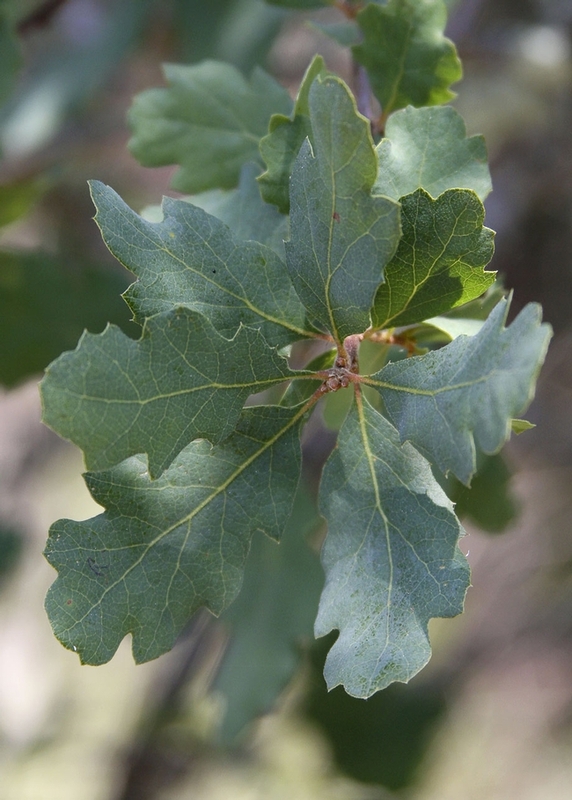 For thousands of years, fire was an important part of California's oak woodlands. Native Americans and, more recently, ranchers set fires to improve habitat and enhance desirable vegetation. However, aggressive fire exclusion during the last 30 years has led to significantly denser stands of blue oak trees. Standiford conducted the study with two San Joaquin Valley-based Cooperative Extension natural resources advisors, Neil McDougald of Fresno and Madera counties and Ralph Phillips of Kern County. One-third of the study area was moderately thinned, and one-third was heavily thinned. For comparison purposes, the researchers left one-third of the study area untouched. The study area excluded livestock, but it was accessible to deer and rodents. Blue oak trees regenerate after thinning. Over a period of 11 years, acorn production, stump sprouts, forage composition and forage yields were evaluated in each study block. Standiford said thinning the stand enhanced forage production, which is favorable for cattle ranchers. In areas with the highest level of thinning, there was the highest level of forage. However, the thinning did not enhance vegetative biodiversity, as the ranchers hoped. Thinning did result in the growth of younger trees from stump sprouting. Acorn production on a landscape scale was not impacted by thinning. Trees in the thinned plots produced more acorns per tree, however, because there were fewer trees, the same amount of acorns per acre was produced. Standiford shared the results of the study with ranchers, land managers and researchers at the 7th California Oak Symposium in 2014; the research will be published in the symposium proceedings later this spring. He said the study results validate for landowners that thinning is an appropriate management practice on blue oak rangeland. Forage increases, the trees survive and grow back. "Drought and taxes have a lot in common. They are both facts of life that must be dealt with periodically, they are both pains in the neck, and they both carry serious consequences if we choose to ignore them." - Jeff Mosley, Extension Range Management Specialist, Montana State University, Bozeman. The past few years, particularly this past growing season, have been very challenging for most producers due to drought. Drought is one of the problems where the question is not if it will happen, but when, how intense, how long it will last and how prepared are the producers? As a result, producers over the years have developed strategies to cope with the inevitable effects of drought. Ranchers are tremendously affected by drought mainly because of their dependence on annual precipitation for forage production. Drought affects ranchers through loss in forage production, water shortage, and higher prices and reduced availability of supplementary feed. In the past year alone, many workshops and web resources were put together to provide drought management tools and information for the ranching community. The Drought Management Workshop at the Sierra Foothills Research and Extension Center and the California Rangeland Watershed Laboratory website are two good examples. What have we been doing well that we need to continue building upon? What changes do we need to make to improve future production, and maintain or improve resilience to future droughts? This process can be daunting, but dividing the activities into short-term, medium-term and long-term categories may help make the planning process less overwhelming. This way, one can focus on a few activities at a time while building towards long-term resilience. Short-term: The first year after a drought period, cow-calf producers will be focusing on rebuilding their herd. During this process, paying particular attention to herd genetics and health is critical. Rebuilding a herd after a severe drought may be a good opportunity to bring in new qualities that were previously missing. Examples of characteristics to consider include good mothering ability (weaning weight, early calving, calving ease), temperament, livestock that will not only survive, but thrive in your environment, animals suitable for your target markets and animals with a history of good health and management. It may be a good idea to start slow with the herd-building process or stock lower than normal for stocker operations the first year after a drought. This is especially true for rangelands that had lower than the recommended residual dry matter (RDM) levels before the fall rains started. University of California researchers found that optimum RDM levels (old herbaceous plant biomass left before the fall rains) in annual rangelands tend to increase with slope and decreases with woody cover. Lower RDM is expected to result in lower than normal forage production and lower species richness. The first year after drought, ranchers may want to explore available drought or emergency programs (e.g. FSA programs) that may help in the process of rebuilding the herd or providing feed and water for their livestock. Medium-term: Two to three years after drought, ranchers should continue building their herds, monitor rangeland condition and actively manage rangeland weeds, if any. During this period, livestock numbers can be increased to optimal levels because even annual rangelands that had lower RDM due to drought conditions are likely to be fully recovered from drought effects within three years. Starting or continuing a rangeland monitoring program to measure forage production and RDM is critical at this stage in order to generate information necessary to make management decisions. Monitoring forage production, in the medium-term and eventually long-term, is important for setting conservative stocking rates. Weed management has to be one of the main priorities in any management programs, because drought conditions sometimes increase the risk for weed invasion. If left unchecked, weed invasion will reduce rangeland carrying capacity in the long-term by reducing rangeland nutritional value as weeds continue to replace preferred and more palatable species. Long-term: The fourth year onwards is about building flexibility into the system to accommodate fluctuations in forage production over time that occur in these complex ecosystems. The more flexibility built into the system the more resilient the operation. A production system with different animal types, e.g. cow-calf and stockers, allows for more flexibility to increase livestock numbers during periods of good forage production and reduce numbers when drought conditions return. Going further to add other livestock species would make sense if conditions are ideal. This is the time to look for more options to increase grazing land, by leasing more land if available; and building relationships with suppliers of local agricultural bi-products that are good livestock feed. Alternative on-ranch enterprises like value-adding and agro-tourism could be options for some. Water availability in all pastures used during the dry season should be planned, to ensure reliable water is available for the livestock during dry seasons. Drought resilience tends to increase as a producer makes more effort to integrate drought management tools into the management plan. 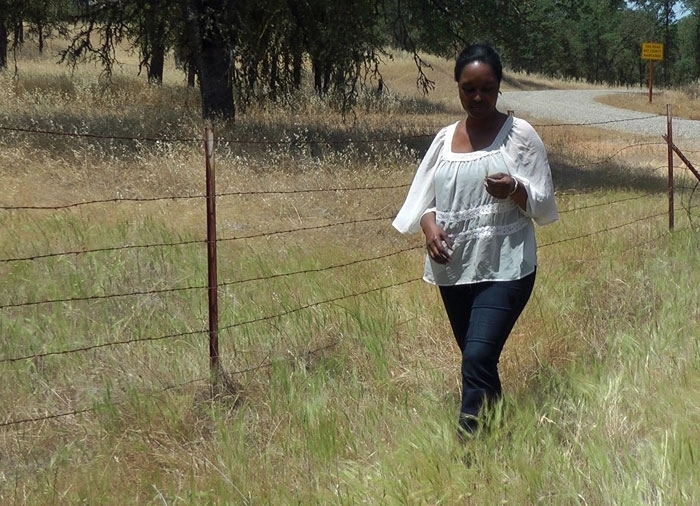 Fadzayi Mashiri walks through a patch of medusahead in Mariposa County. One of the worst rangeland weeds in the West is aptly named after a monster in Greek mythology that has writhing snakes instead of hair. Medusahead, an unwelcome transplant from Europe, is anathema to the cattle living off rangeland grass. The weed's three-inch-long bristles poke and sometimes injure the animals' mouths and eyes. The weed is also low-quality forage for livestock. When medusahead takes over rangeland, it reduces the forage value by 80 percent. When Fadzayi Mashiri, UC Cooperative Extension advisor in Mariposa, Merced and Madera counties, was appointed in 2013, she became the first natural resources and rangeland expert to hold the position since the retirement of Wain Johnson more than a decade before. She polled local ranchers to determine their most pressing problems. They said weed management, and in particular, medusahead. Medusahead is relatively easy to identify on the range. It has distinctive stiff awns and a seed head that does not break apart as seeds mature. Patches of medusahead are obvious when spring turns into summer. 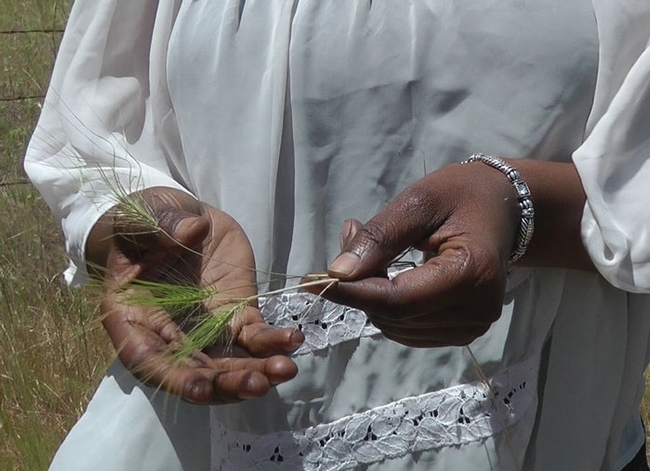 “Medusahead stays green after most of the annual grasses have dried off,” Mashiri said. Medusahead has high silica content, making it unpalatable to cattle. The silica also protects the plant from decomposition, so a thick thatch builds up on the rangeland, suppressing more desirable species, but not the germination of the next year's medusahead seedlings. The awns on medusahead can irritate and injure cattle. Corral cows on medusahead before the plant heads out or employ sheep to graze medusahead patches. It's not sheep's favorite forage either, but they will eat if left with no other option. Prescribed burning in late spring or early summer. However, this strategy poses air quality and liability issues. 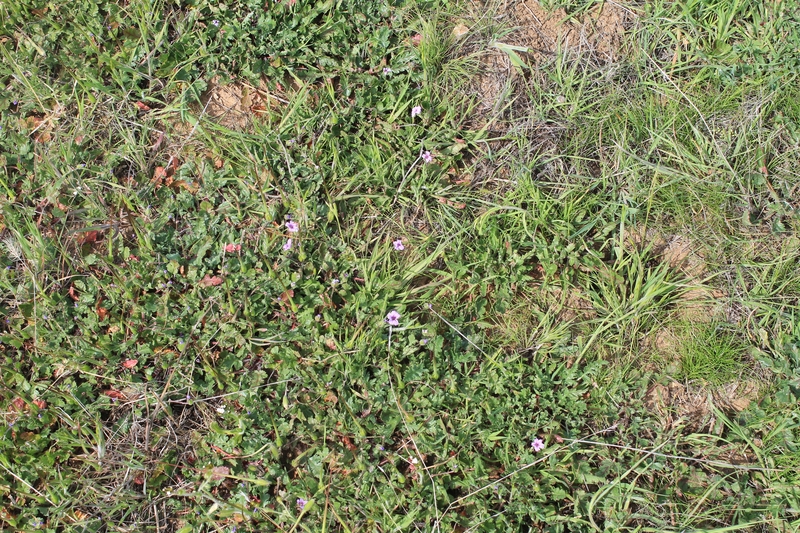 Apply nitrogen fertilizer to medusahead to improve palatability before it flowers, which is showing promise for controlling the weed and boosting the value of infested rangeland. In spring 2014, Mashiri conducted a demonstration field trial in Mariposa County of medusahead control with the herbicide Milestone, which was developed by Dow AgroSciences mainly to control broadleaf weeds like yellow starthistle. The trial followed rangeland weed control research done by scientists including Joe DiTomaso, UC Cooperative Extension specialist in the Department of Plant Sciences at UC Davis. DiTamaso found that the density of medusahead in treated areas declined and concluded that Milestone prevents medusahead seedlings from thriving. Unfortunately, Milestone treatment of large rangeland areas is expensive. 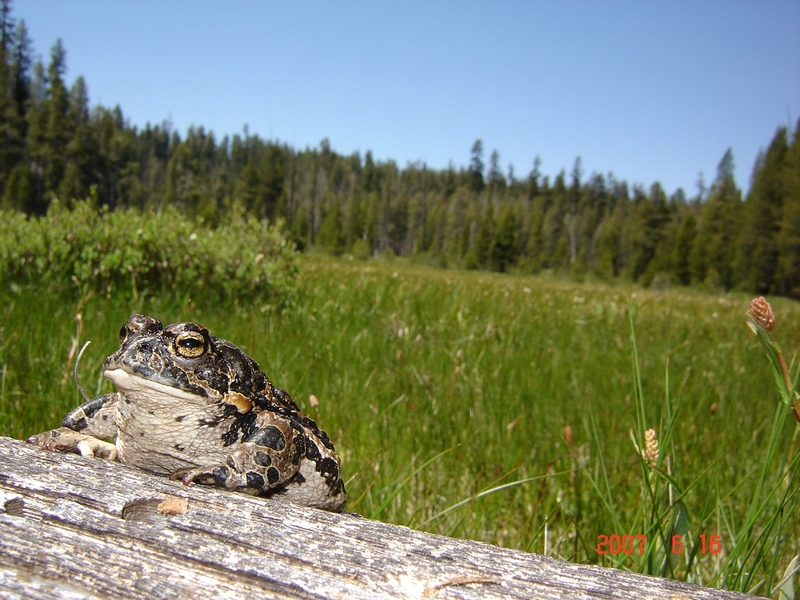 “Determining the Effects of Cattle Grazing Treatments on Yosemite Toads (Anaxyrus [=Bufo] canorus) in Montane Meadows” was published in the November 2013 issue of PLOS One http://www.plosone.org/article/info%3Adoi%2F10.1371%2Fjournal.pone.0079263. Tate’s coauthors on the study are Susan K. McIlroy, research scientist with U.S. Geological Survey in Boise, Idaho; Amy J. Lind, research wildlife biologist with the U.S. Forest Service Pacific Southwest Research Station; Barbara H. Allen-Diaz, professor in the Department of Environmental Science, Policy and Management at UC Berkeley; Leslie M. Roche, postdoctoral researcher in the Department of Plant Sciences at UC Davis; William E. Frost, UC Cooperative Extension advisor; and Rob L. Grasso, fishery and aquatic ecologist with U.S. Forest Service Eldorado National Forest. This is the latest of three articles examining the relationship between cattle grazing and growth in numbers of Yosemite toads. In April 2012, PLOS One published “Cattle Grazing and Conservation of a Meadow-Dependent Amphibian Species in the Sierra Nevada,” online at http://www.plosone.org/article/info%3Adoi/10.1371/journal.pone.0035734. 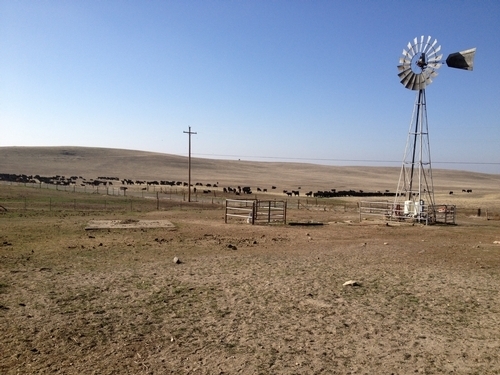 The first article “Cattle Grazing, Mountain Meadows, and Sensitive Species,” written in 2011, is online at http://rangelandwatersheds.ucdavis.edu/main/projects.htm. 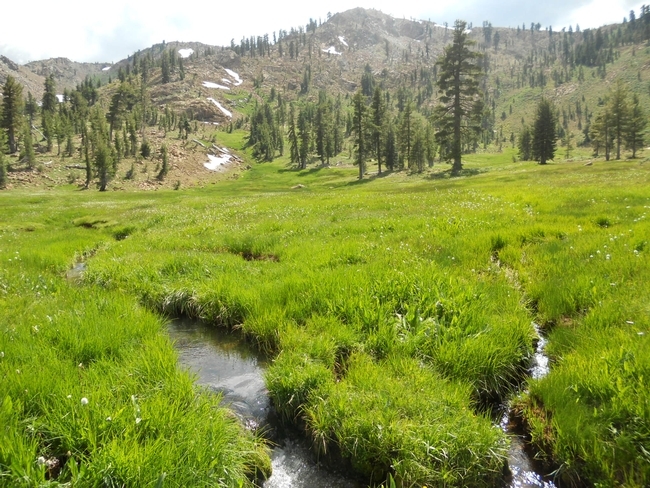 Researchers found that Yosemite toads prefer the wetter parts of Sierra meadows while cows graze the drier areas.